Go for a white long sleeve shirt and Ralph Lauren baby boy argyle rugby sock 3 pack for your little man for a comfy outfit. As far as footwear is concerned, let your tot throw in a pair of brown boots. 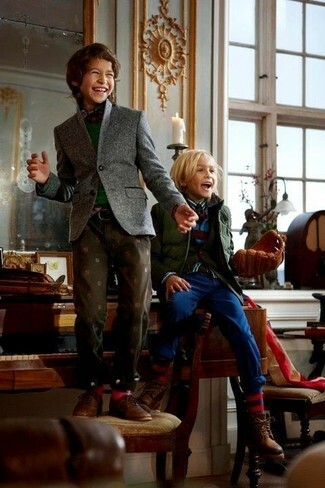 Suggest that your kid go for a grey blazer and red socks for a laid-back yet fashion-forward outfit. As for footwear your little one will love brown leather desert boots for this style. 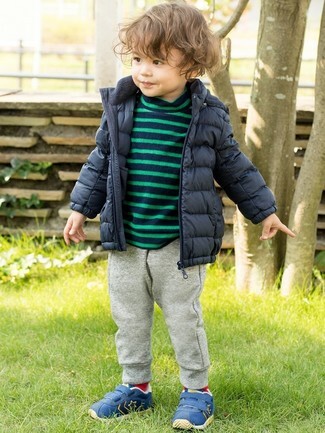 This combo of a navy puffer jacket and Ralph Lauren baby boy argyle rugby sock 3 pack has all the potential to become your child's favorite. Blue sneakers are a great choice to complement this style.